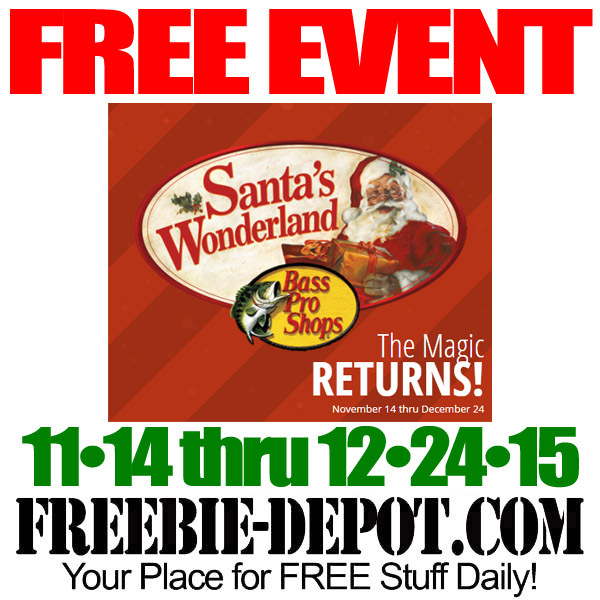 Make time in your schedule this holiday season for Bass Pro Shops’ annual Santa’s Wonderland event! It’s always a great time with tons of FREE Giveaways and Activities! Not all games and activities are available at every location. Select your store for more information. Crafts and plush buddies may vary and are available while supplies last.